If licensing deals pan out, the internet radio service could start offering paid streaming as early as next month. Pandora is aiming to expand its territory in the music streaming wars. The internet radio service is set to start offering two paid subscription tiers as early as next month, according to The Wall Street Journal. These tiers for on-demand streaming would complement Pandora’s free radio stations and make the company better suited to rival Spotify, Apple Music, Tidal, and other music services. Similar to those services, Pandora’s on-demand subscription will cost $10 a month. Pandora’s second paid subscription offering will be an upgraded version of its no-ads radio service, Pandora One, which will give listeners the chance to skip more songs and enable offline listening. Pandora One is currently $5 a month, and the price is set to remain the same after the added features. The launch of these new added streaming tiers is dependent on Pandora closing the licensing deals required with the major record deals, which would expand Pandora’s offerings from 2 million songs to about 30 million. Once finalized, these deals will allow Pandora streaming in the U.S. and abroad, suggesting the company is also looking towards international expansion. Currently, Pandora only operates in the United States, Australia, and New Zealand. According to the WSJ, one major point of contention for the record labels is that Pandora, like Spotify, will have paid tiers as well as an ad-supported free service, which is less lucrative for the music industry. The record labels are in essence giving Pandora permission to stream their entire catalogues all over the world, but have no control over which songs are put on the free radio. Spotify’s free tiers have also been criticized, most famously by Taylor Swift. This is the first time that Pandora has had to negotiate with the music industry to ink these licensing deals. Previously, Pandora’s free radio did not require permission from the labels because listeners could not select songs on-demand. Why this matters: Even though the music streaming wars have gotten more competitive since the launch of Apple Music, Pandora does have a few advantages. 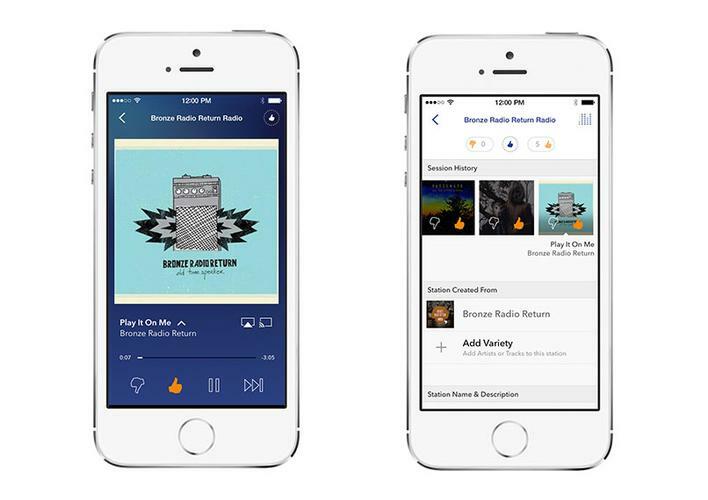 For starters, over 80 million people listen to Pandora-powered radio stations every month. This gives the company a solid user base to try to convert into paid subscribers. In addition, Pandora is offering a $5-a-month plan that gives listeners a halfway point, price-wise, to the $10-a-month plans that are offered by the rest of the streaming services.